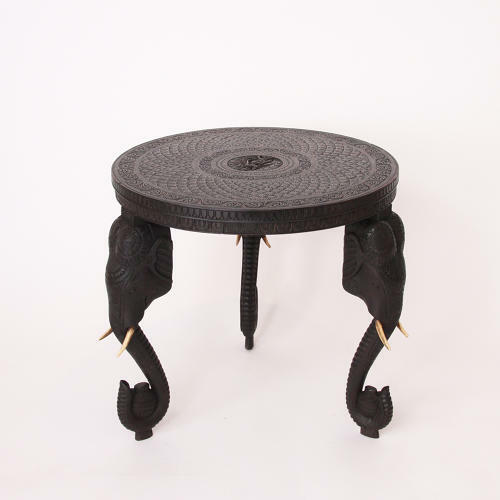 An intricately carved, Anglo-Indian table made from hardwood and ebonised. The three legs consist of magnificent elephant heads, tusks and trunks. The top of the table depicts a woman at the centre, perhaps a female Hindu diety. The Asian elephant appears in various religious traditons and mythologies. They are treated positively and are sometimes revered as deities, often symbolising strength and wisdom.